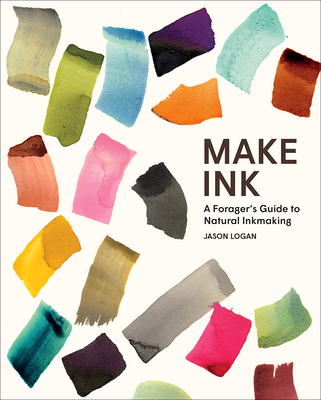 Toronto Ink Company founder Jason Logan is an internationally recognized designer, creative director, author, and artist. His illustrations appear regularly in the New York Times and his fine art has been exhibited in New York City, Los Angeles, Toronto, and the Yukon. His work has been recognized by the AIGA, SPD, the Centre for Social Innovation, and the Canada Council for the Arts. Michael Ondaatje is a celebrated poet, novelist, editor, and filmmaker, best known for his 1992 Booker Prize–winning novel The English Patient. “Named a Best Book of 2018." “He also has quite a few recipes in his upcoming book, Make Ink: A Forager's Guide to Natural Inkmaking (Abrams Books, September 2018), that use color from the kitchen: carrots, black beans, blueberries, turmeric, and onion skins all make beautiful ink colors." “This book filled with ink recipes, minimalistic photography and lots of inspiration caught our eye immediately. "